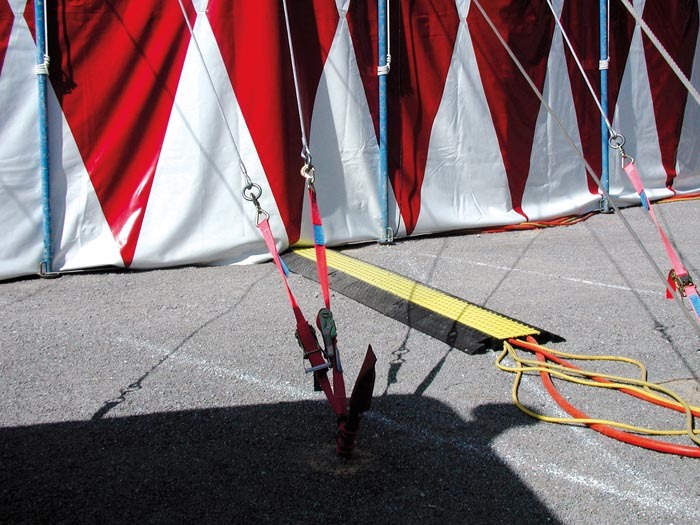 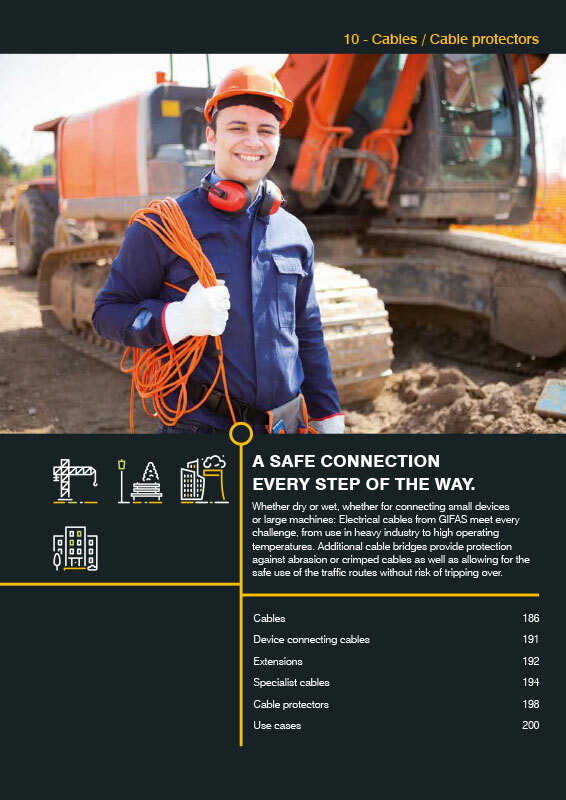 Protect your cable cross-overs with cable protection systems from GIFAS and avoid accidents and damage. 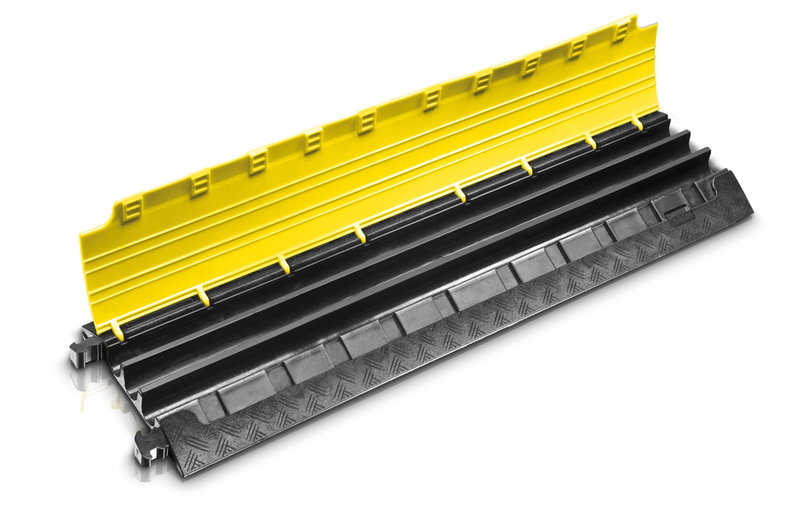 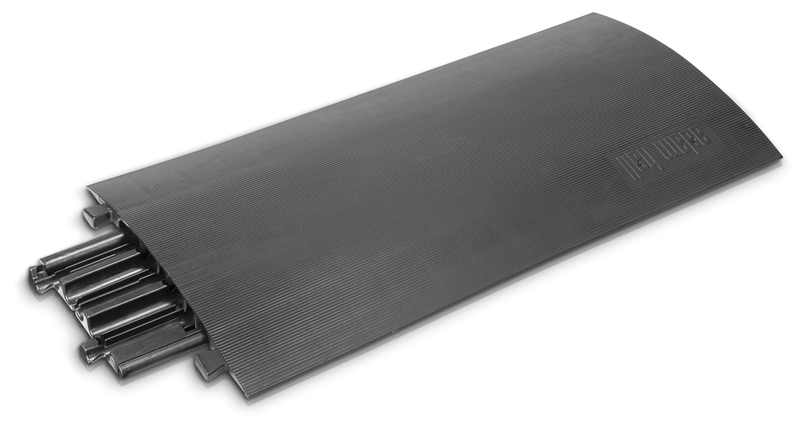 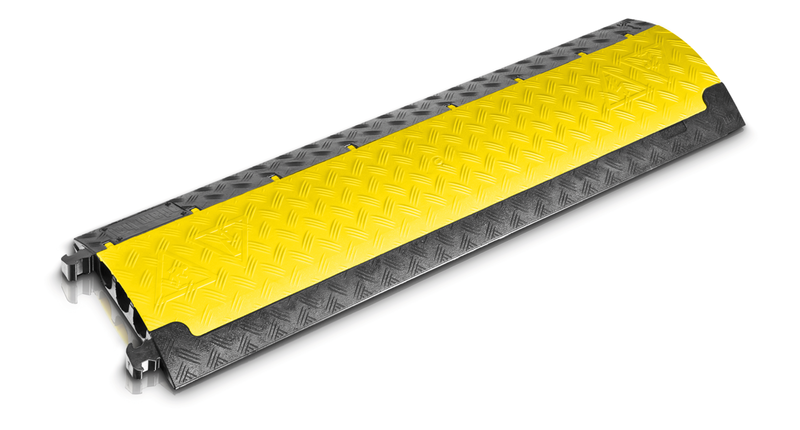 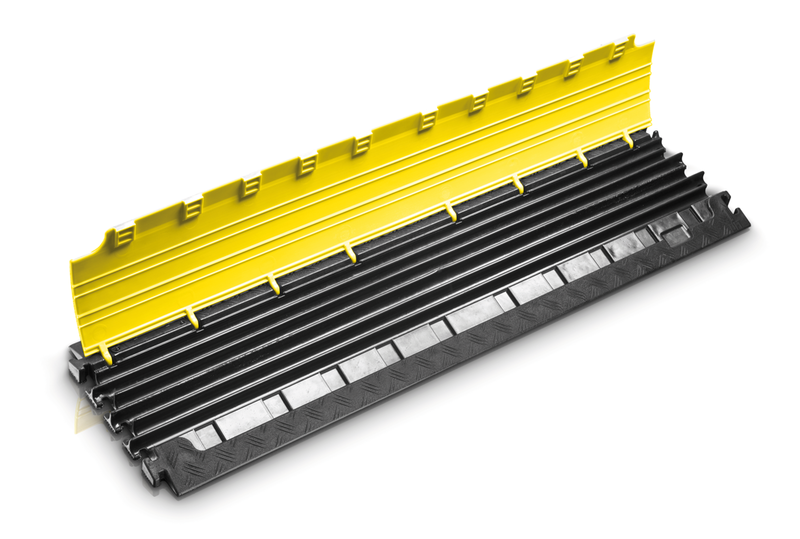 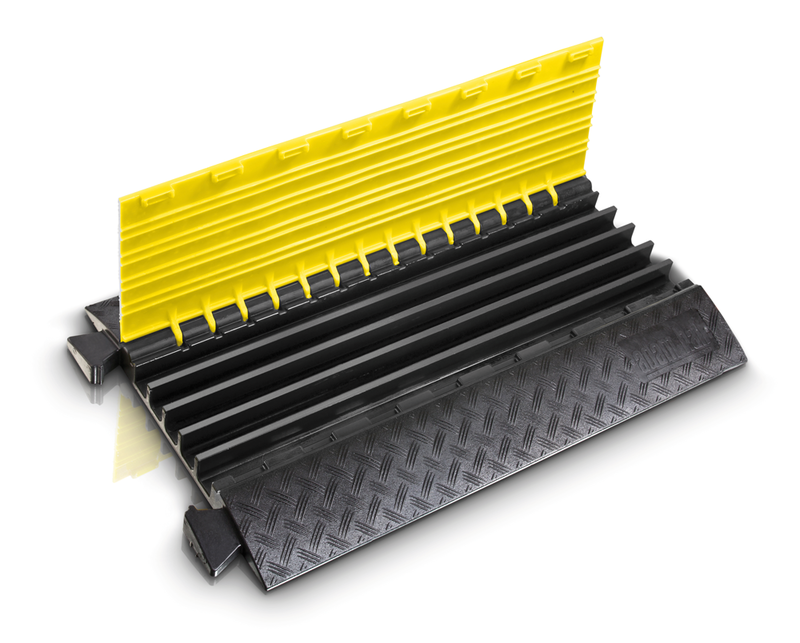 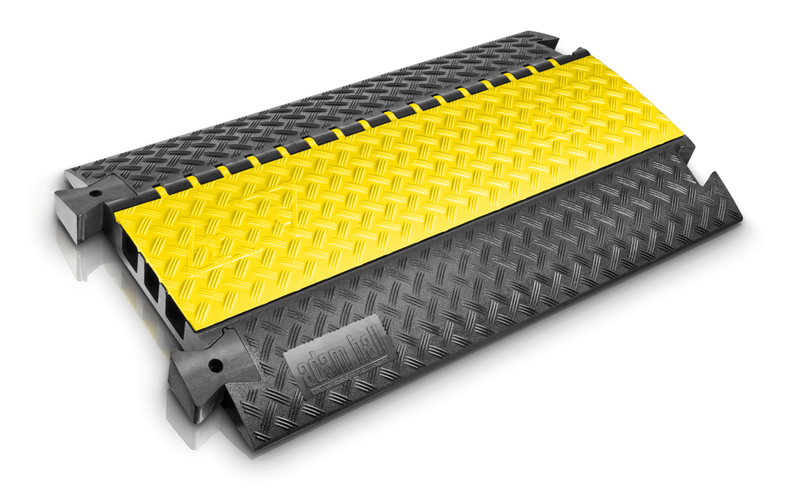 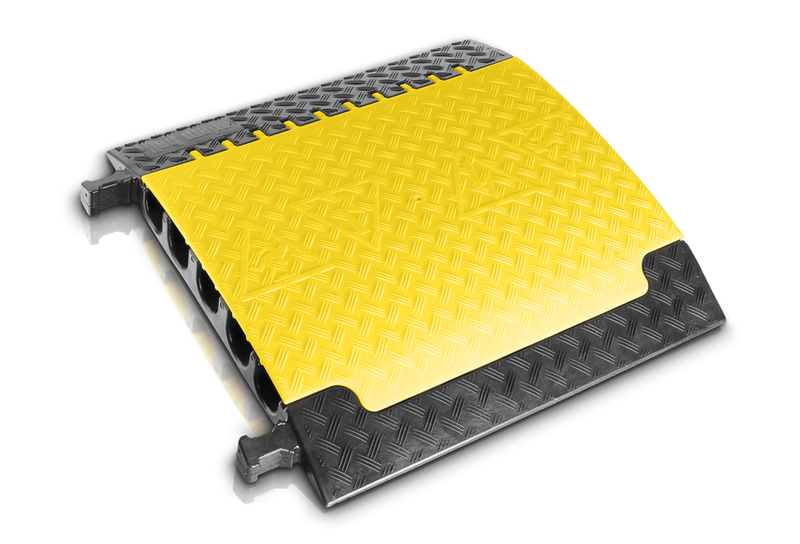 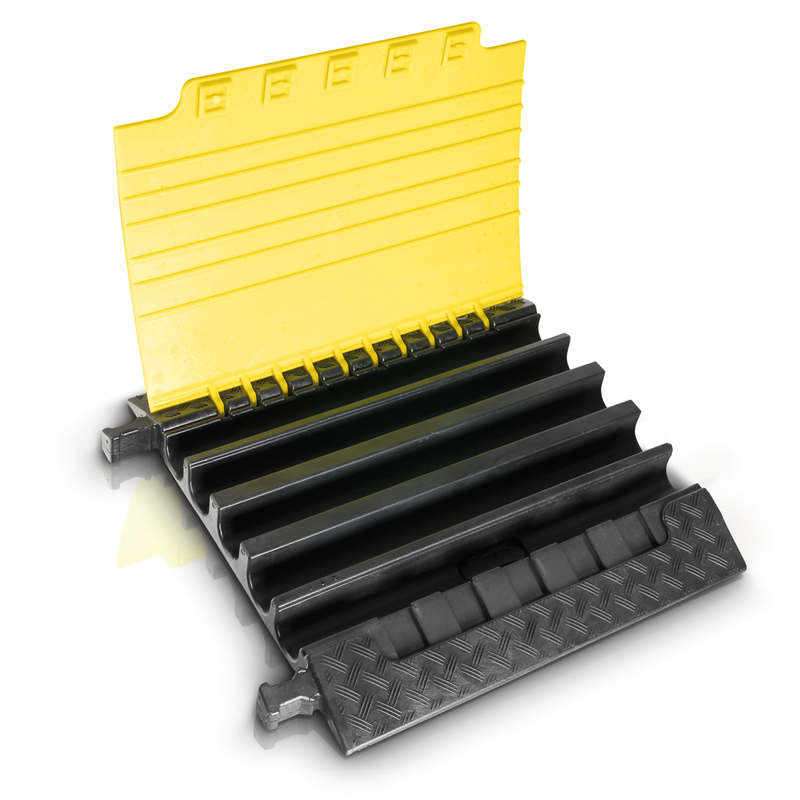 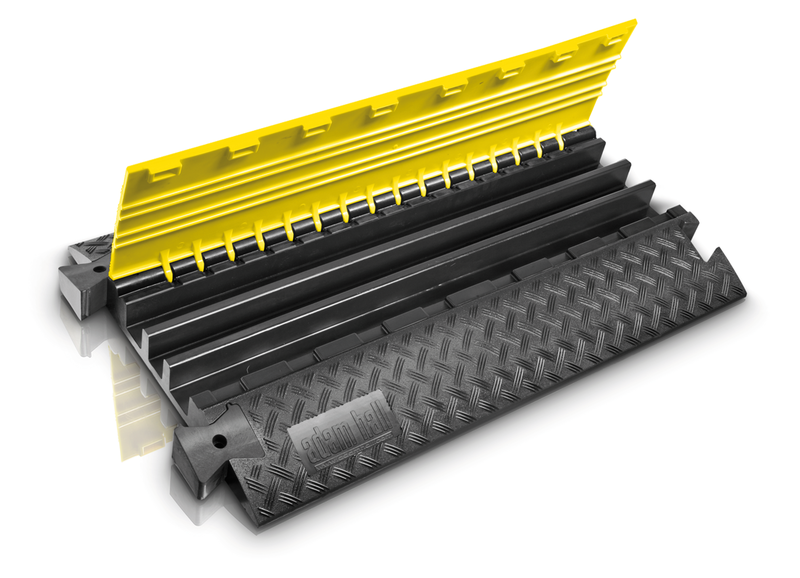 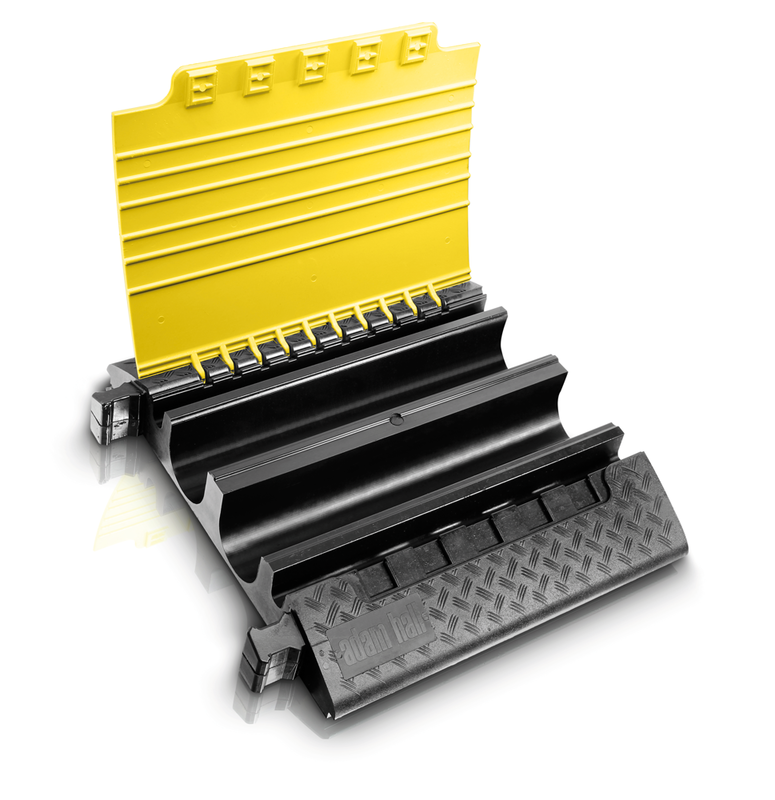 The yellow warning colour on the cover and the structured anti-slip surface provide additional safety. 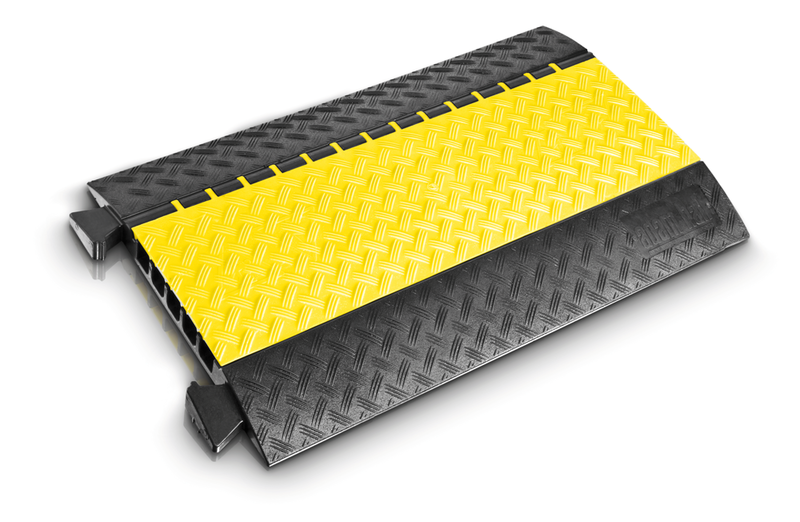 Safety and tidiness, whether it be for temporary or permanent cabling, interior or exterior applications.The hinged cover remains vertical when the cable is inserted and can be quickly and easily closed securely via the integrated Velcro fastening system. 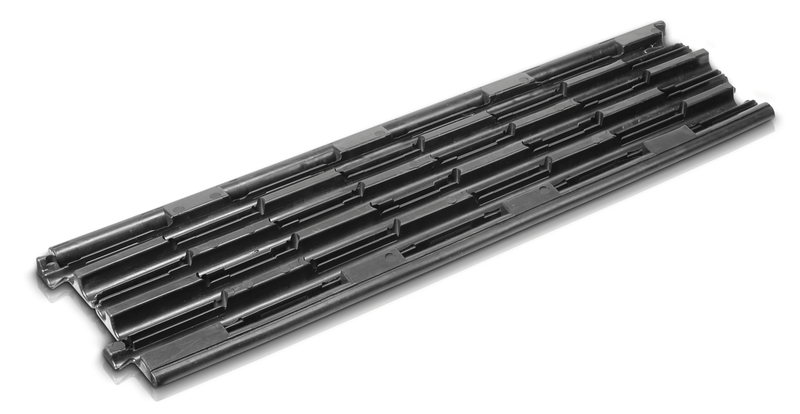 The cable protection elements can be connected with each other using tenons. 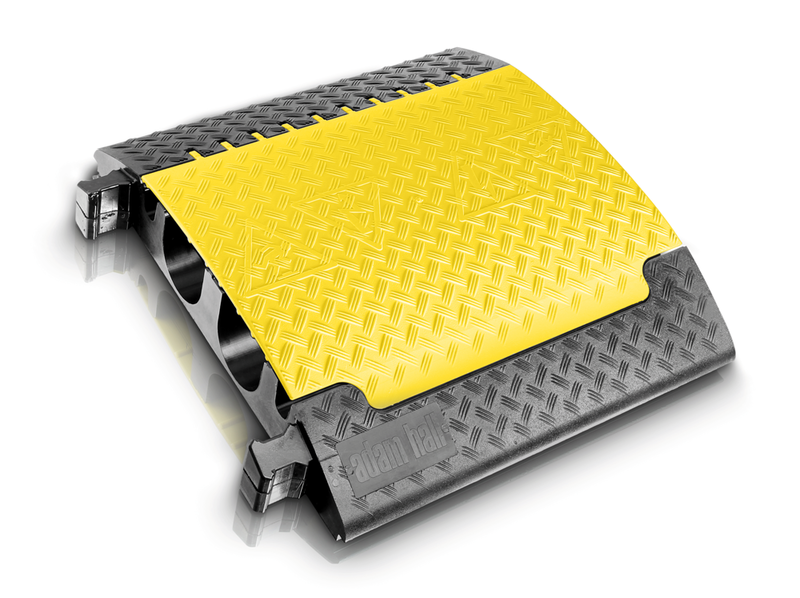 The cable protectors feature the patented, self-cleaning locking hinge.